Independent jewellery consultant and Accredited Lecturer of The Arts Society, Joanna Hardy will be talking (alongside fellow Lecturer, Mark Hill) at the London Art, Antiques & Interiors Fair from 12 - 14 January 2018. What are your anticipated jewellery trends for 2018? "Whatever Meghan wears! Because her engagement ring is made of diamonds there will most likely be a resurgence of diamonds as people do seem to be swayed by what they see those in the public eye wearing. Also the rise in popularity of pearls. The royal family love their pearls; the Queen and Princess Diana regular wore them so this, combined with colour could bring a new edge in 2018. What else has been an ever-growing trend is the awareness and appreciation of rarity and craftsmanship when it comes to jewellery. The jewellery houses or individual artisans will continue to remain in the spotlight in 2018 - for example, Castalani, Van Cleef & Arpels, Cartier, Lalique, Fouquet, Fabergé – all these exceptional master craftsmen pay so much attention to detail." What specialist advice and top tips do you have for anyone looking to source jewellery in 2018? "My advice for a novice jewellery shopper is to first and foremost buy something that you want to wear. If the jewel speaks to you then buy it. Don’t think about the investment angle, instead think of yourself as a custodian of the piece – buy it because you love it! Some antique pieces have wonderful sentiments of emotion and passion that is being relayed in the jewel. Don’t go in with a pre-conceived idea that you like a certain style such as art deco or art nouveau. A collection of a variety of styles and periods in jewellery is really lovely. If you mix and matchyour periods you’ll have more of an opportunity to wear them. Just because a piece is antique, it doesn’t mean it’s good quality. You need to have a discerning eye – take a look at the back and front of the item. If you’re buying a piece, check if there’s been any repair. If there’s damage – avoid. It’s best to start with something with a hallmark or a signature. See if it’s rough or smooth to the feel and that both the front and the back of the piece have been equally well crafted." Joanna Hardy trained as a goldsmith before working for De Beers valuing and grading rough diamonds, before becoming one of the few women diamond dealers, trading in Antwerp, Tel Aviv, Mumbai and New York. She worked as a senior jewellery specialist for Philips Auctioneers, and for Sotheby’s London, where she was responsible for jewellery sales in New York, Geneva and London. Hardy is now an independent jewellery consultant, delivering seminars, jewellery masterclasses and lectures worldwide. She writes for the international press and is a published author with her books Collect Contemporary Jewelry and Emerald both published by Thames and Hudson, and a contributing author for Cartier Panthère published by Assouline and GRAFF published by Rizzoli. 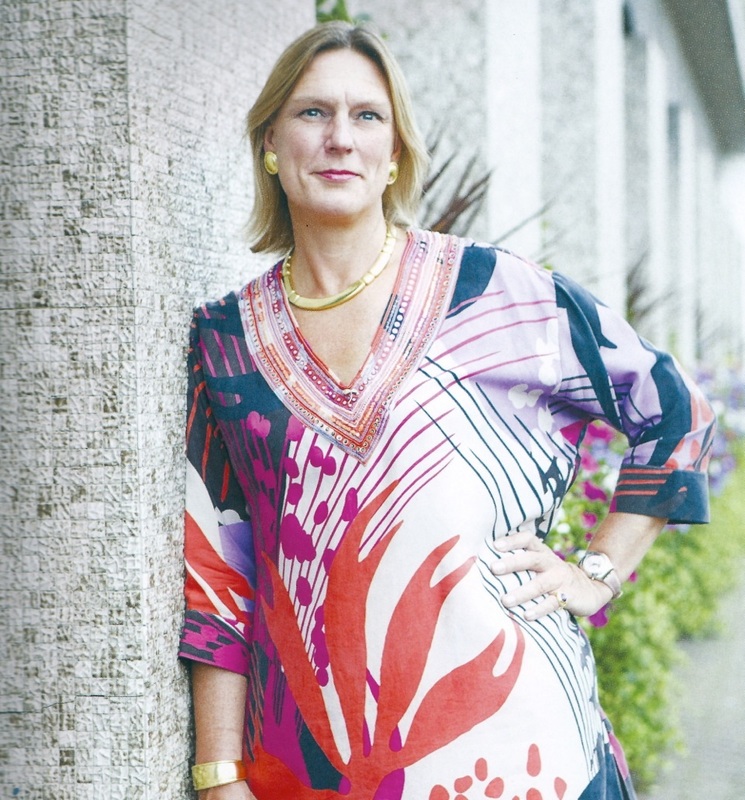 Also curates contemporary jewellery exhibitions and is a regular jewellery expert on the BBC Antiques Roadshow. Is a Liveryman of the Goldsmith’s Company, a Freeman of the City of London and a Fellow of the Royal Society of Arts. The Arts Society has a directory of speakers and we are always interested to hear from enthusiastic, knowledgeable and entertaining lecturers who speak about the arts.